Week three in Brazil is coming to an end and the Moab Monkeys met up with “Lucky” Luke Chappell and some other Brazilian BASE jumpers to explore the urban jungle of Rio de Janeiro. This week’s episode includes some building BASE jumping adventures and new highlines above downtown Niteroi. The buildings will go unnamed, as frankly we don’t even know what they’re called. 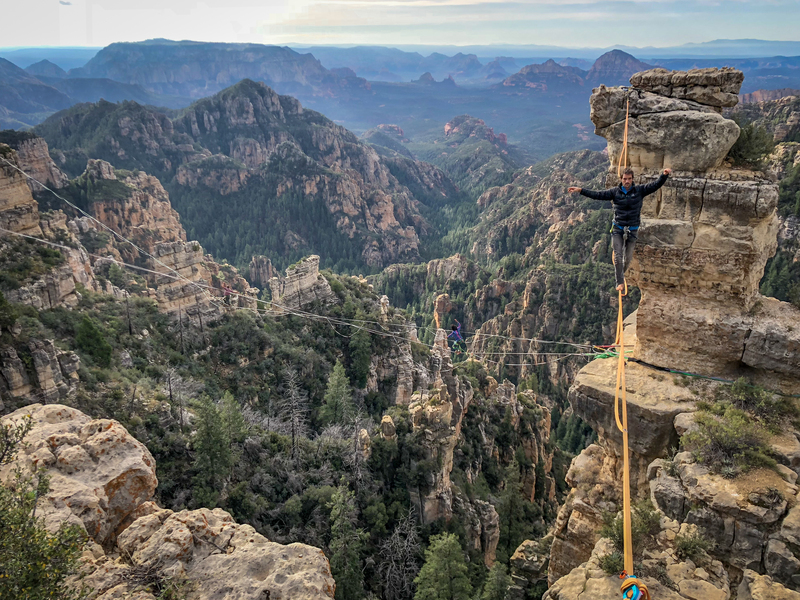 The two highlines shown include the “Sweat Shop,” 17m long (established by Allan Pinheiro), and “Sol Opressor,” which is a new line we created in the 45-50m range. Enjoy this week’s episode and keep your eyes out for more. The Monkeys have one more week in Brazil and we’re preparing for our biggest project yet!